5793 labyrinths found. Showing 3241-3260. Sorted by country, state, city, then zip/postal code. I75 to Exit 18 (Nadeau) go left (West) to I25(Monroe St.) Turn Right (North) approximately 1 Mile and merge on 24 (Telegraph Road) turn left to Grafton Road. Continue 1/2 mile on Grafton Road to North Stony Creek Road, Newport, Michigan. Many Forks Retreat Center is first farm on the right. I275 to Telegraph Road Exit, South on Telegraph (US24) to Grafton Road, turn right (West). Continue 1/2 mile on Grafton Road to North Stony Creek Road, Newport, Michigan. Many Forks Retreat Center is first farm on the right. The center has been designed with rose quartz, green jade stone along with northern lights stone . The boundries are of a unique design, consisting of inipi stones and large rose quartz. The pathways are of screening with inipi stones as a division of the paths. Five miles west of I 275. Please make an appointment to walk the Labyrinth. 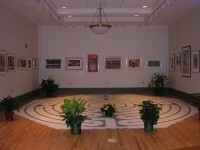 The labyrinth is available for loan to organizations for up to two weeks with a security deposit. The labyrinth is stored at Emmanuel Episcopal Church. 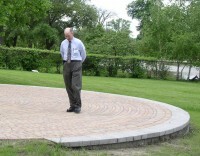 The labyrinth is located in the garden of the library off Waukazoo. This labyrinth is on private property. Please contact me for permission to visit. 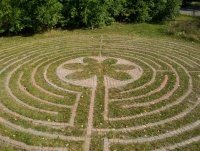 Labyrinth is an 11 circuit Chartres style labyrinth which is handicapped-accessible. It is located behind the motel and is open to the public. The surface is grass with rocks making up the lines of the labyrinth. The labyrinth is located on the NE corner of the property. The paths have some uneven terrain, but pavers are level to ground, so wheelchairs may pass over them. Assistance may be needed. Kids walking the labyrinth at Camp Westminster on Higgins Lake. Visit the Camp Office in main camp to get directions of how to get to the labyrinth from the road. 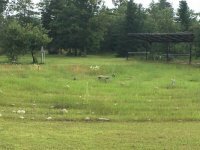 The labyrinth is on the private property of Camp Westmisnter on Higgins lake but is open for public use. Please stop by the camp office in the main office to notify the staff about your presence. There is another located at our town center location, open all hours to the public. Follow the circular drive to the rear of the site, overlooking the Saline Mill Pond, just to the northwest of the Professional Office Building. Labyrinth is in side yard next to driveway. Look for the bell. For groups of 5 or more, please call to schedule a time. Our outdoor labyrinth is located in the rear of our parking lot, framed by fields and a neighboring golf course. There is a bell positioned at the entrance. Visitors are most welcome. 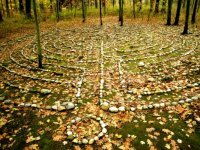 Newly dedicated Spirit Space labyrinth. The outdoor labyrinth is located behind the parking lot to the right of the building. 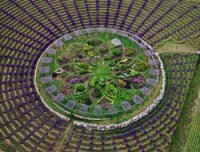 A free-form semi-5 circuit that was dictated by the sacred ground itself, the labyrinth contains a meditation/resting place and numerous spots for cairns. Located in the back of the property surrounded by meadow and trees. Retreat facility for private groups or family gatherings. Available for rent on a daily, weekend or weekly basis. Call, and if we have no other guests, you are welcome to come and walk. Located on the back of the property surrounded by meadow and trees. If you would like to vist, please call. I "designed" the labyrinth from many resources. I mindfully chose the grass path as it keeps the walker in contact with the earth. This labyrinth in the woods actually has six trees inside the paths, two Oaks, two Maples, a Tulip Poplar and a Shagbark Hickory. Four tons of rounded creek bed rocks form the path lines. The overhead trees, especially in warm months, shade the space. Located three miles from the village of Three Oaks, Michigan. Not far from I-94 and easily reached from Michigan Route 12. Open 8 to 6 every day. If the owner is not home, follow the stone path on the west side of the house. The labyrinth is about 100 yards into the woods on the left/west side of the path. The labyrinth is open to the public, but it's on private grounds. The owner, Gregg Fraley, asks to be notified you are coming to visit. Chartres pattern with wider paths. 41°48'51.5"N ° Lat. ; 86°39'45.5"W° Long.